With the beginning of the liturgical season of Lent on Ash Wednesday, which this year is on March 1, and then the celebration of the Solemnity of Easter on April 16, religion will play a large role this month and next in our Filipino community. The Philippines is the only Christian country in Asia and that was the result of the Spaniards bringing Catholicism to the country when Ferdinand Magellan first landed (and was killed) in Cebu in 1521. But the first religion that was introduced to the Philippines was Islam, which was introduced in the 14th century to the southern Philippines—Sulu and Mindanao. The vast majority of Filipinos are still Roman Catholic, with some estimates over 85%. And despite the Spaniards and later the Americans’ efforts, there is still a sizeable Muslim population in southern Philippines. Our Kalooban, the embedded spirit of the Filipino, our “spiritual essence,” is alive and well, in its various forms. On Easter Sunday, Christ the King Church celebrates Salubong, a reenactment of the Risen Christ’s meeting with Mother Mary. When the first Sakadas arrived in Hawai‘i in 1906, they brought Catholicism with them. Anak, the Maui Filipino Centennial Book, has a chapter on Religion titled “In God We Trust” that covers the role religion played in the lives of Filipinos in Hawai‘i. On Maui, many Churches have a significant number of Filipino parishioners. This extends to not only to Roman Catholic churches but also many Protestant churches. 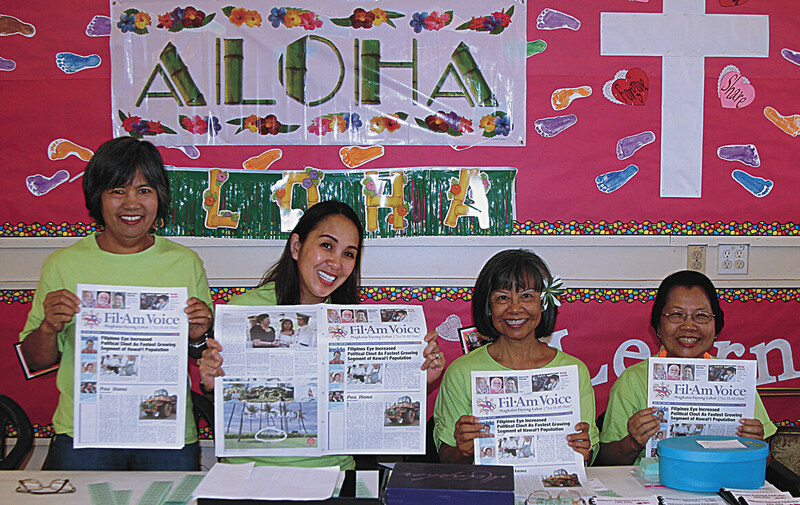 Three Maui churches have or will celebrate significant anniversaries, anniversaries that contribute to the nurturance of Kalooban. On August 28, 2016, Maui Evangelical Church in Kahului celebrated its 50th anniversary. Maui Evangelical was dedicated on August 27, 1972 after several former members of the Puunene Filipino Evangelical Church came together with others to build Maui Evangelical Church on Hina Avenue in Kahului. At the 50th anniversary, the Church’s multipurpose Community Hall was dedicated in honor of the late Rev. Walter Baloaloa, who served as pastor for over thirty nine years. Baloaloa was well-known throughout Maui and intermittently pastored other churches. He often spoke of Kalooban, as the indigenous spirit and life of the Filipino, shared with our friends and neighbors. As part of its 85th Anniversary celebration, Christ the King Church held its annual bazaar where Flo Labuguen, Christine Gumpal, Judy Moniz, and Lucy Peros were in charge of registration. On November 26, 2017, Christ the King Catholic Church will celebrate its 85th anniversary. Christ the King was blessed by Bishop Stephen Alencastre, SS.CC. on October 30, 1932, The Feast of Christ the King. Over the years, the church grew with the addition of a school in 1955, a Convent in 1961, a Cafetorium in 1963, an expanded Rectory in 1969, and a major renovation of the church in 1981. On July 1, 2004, Christ the King Parish was given to the pastoral care of the Missionaries of Our Lady of La Salette, from the Order’s Philippine Province. From that point on, the Pastors have been from the Philippines. It can be said that the expression of Kalooban has taken on new meaning in this large parish. 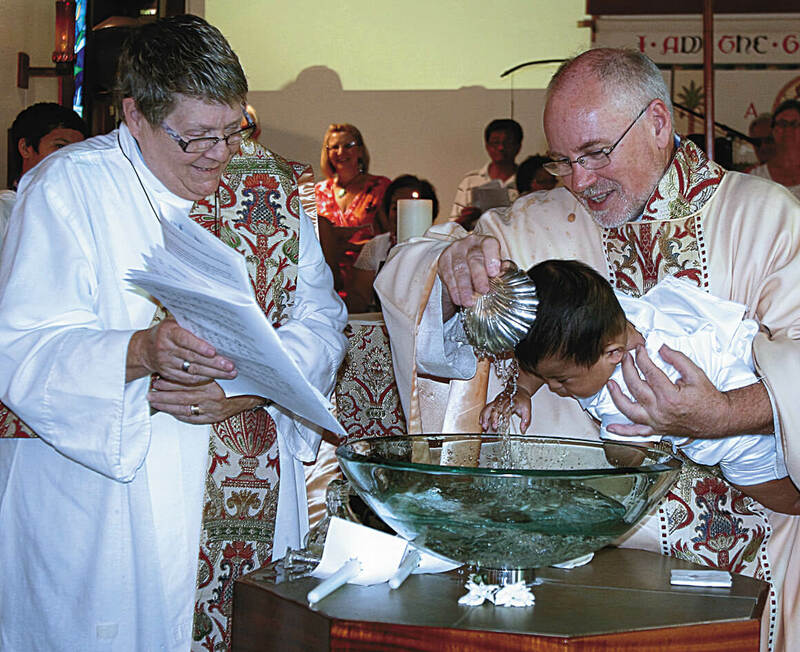 At Good Shepherd Episcopal Church, Easter Sunday services includes baptisms. On February 26, 2017, Good Shepherd Episcopal Church concluded its celebration of its 150th anniversary. On February 25, 1866, the Rev. George B. Whipple who had arrived from Minnesota the prior week, conducted the first Anglican Liturgy in Wailuku. A church was later built on land donated by King Kamehameha and Queen Emma. Ministry to Filipinos at Good Shepherd began in September 1959 with the Rev. Timoteo P. Quintero, from the Philippine Independent Church, holding monthly services. In 1965, with the arrival of Rev. 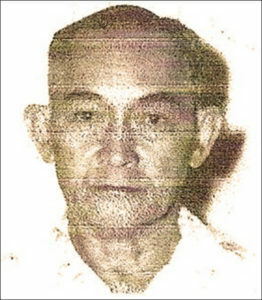 Justo R. Andres, Filipino ministry became “full-time”, until Fr. Andres left in 1983. Today, over 70% of the parishioners are of Filipino ancestry. Kalooban, especially with the younger generations, has taken on new meaning and expression, often a blend that is from the multi-cultural milieu that is Hawai‘i. 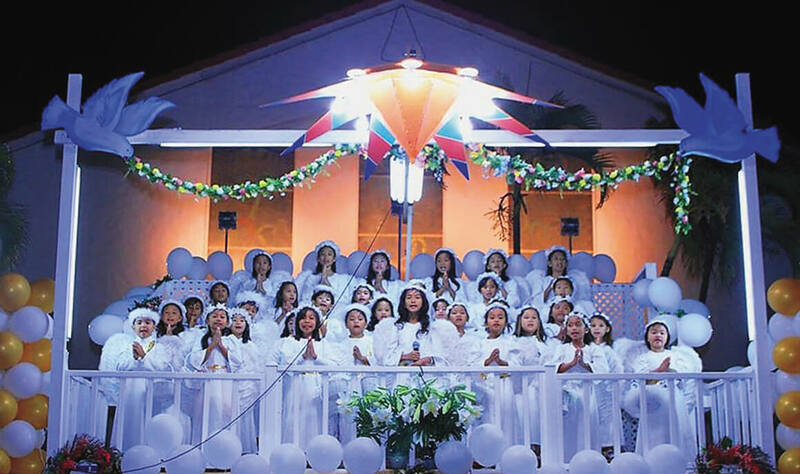 There are many other faith communities here on Maui, an ecumenical array that provides a spiritual and religious home to Maui’s Filipino community. Filipinos are a very spiritual people and I know that Kalooban, our spiritual essence and way of living has positively affected our way and quality of life here on Maui. We are all the better because of it. 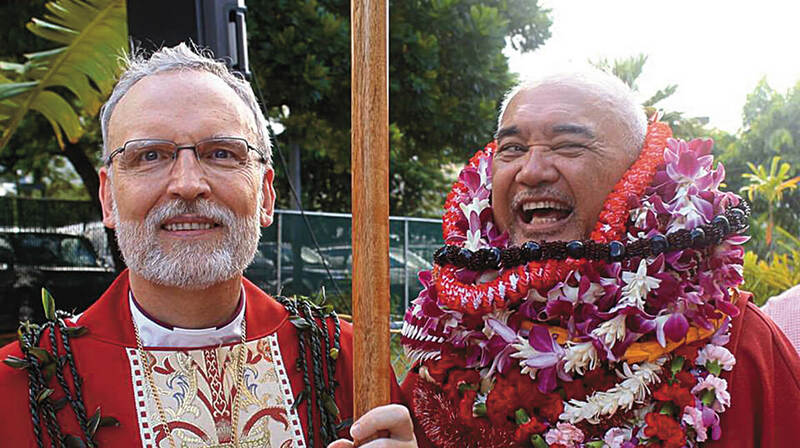 John A. Hauoli Tomoso was ordained to the priesthood by the Rt. Rev. Robert L. Fitzpatrick, Bishop of the Episcopal Diocese of Hawai‘i. My own spiritual journey, so far, is circuitous yet clearly one that leads me to God. I grew up Catholic, practicing the Faith while attending Catholic Schools through college. Now, after discernment and a formation and education program that lasted four years, I was ordained a Priest in the Episcopal Diocese of Hawai‘i in July 2016. Currently, my liturgical, pastoral and education assignments take me throughout Maui and Hawai‘i Nei. Also, in my continuing practice as a Social Worker, I have come to a new understanding that my Kalooban, positively affects how I engage my various clients. Macario Tomoso arrived on Maui in 1910. Even though I was born and raised here on Maui, I believe other Kababayan from away can understand my own experiences as a Filipino. It took me a while to put these traits to word, but, let me now cite what I think are the traits that Filipinos, both here and abroad, can relate to. First, we are oriented to our family, to each other in intimate living conditions and relationships. It is with those we know and love that we find our center and focus, our security and stability, our sense of belonging and worth. Second, we give and accept being friendly, hospitable and kind to each other. We especially do this by sharing food, by eating together. Third, we are sensitive and compassionate to and with each other, when it comes to understanding how and what we can all, at times, suffer and endure in life. We have empathy for each other. Fourth, we respect and thrive on authority, often seeing those in charge and in leadership as heroes or worthy of emulation. Lastly, we are, deeply spirit-oriented and spiritual. We learn, from a very young age, to foundation all that we know and experience, through our senses, emotions and personhood, upon realities, spirits that we don’t necessarily see but can feel, from deep within ourselves. All five of these traits were taught, even bestowed on me through my relating to my elders. I can remember growing up and being told stories about how all living things are somehow sacred and manifestations of the divine; that God was very much surrounding who I was. My kalooban, my spirit was embedded in me, from a very early age, and I still relate to others in the intimate, sensitive and socially-oriented ways of my elders. I became a Social Worker, in part, because I was raised to relate to and have abiding respect for all things, for all people. 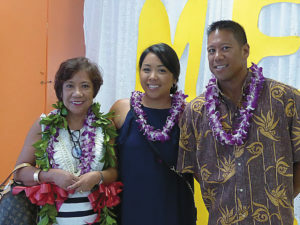 Priscila Baloaloa and her daughter Shani Leah Baloaloa Moroles and son James Eric Baloaloa were present during the dedication of Maui Evangelical’s multi-purpose hall in honor of Pastor Walter Baloaloa. Filipino traits, ways of being, relating and living, translate themselves into how I believe we then relate to God. We probably all know what this is. Simply, it is how we live with the divine, with God, who created everything, including ourselves. Surrounded by all that God made, I can think of three major ways in which Filipinos live out their kalooban, turning their spirit into religious beliefs and practices. First, we develop a deep sense of prayer; of talking to and communicating with God. Second, we cultivate this deep sense of divine and sacred communicating, into prayer for each other. Third, we look for and nurture prayerful support from each other, including from the sacred institutions we attend and belong to, the most important of which is the church. A Filipino priest I knew while in college, a visiting Philosophy Professor, Fr. Tino, told me that his own sense of “being a Filipino” was made solid by the fact that everything about himself, both physical and spiritual, was an interwoven mat, which he called kalooban, i.e. the very reality and essence of the Filipino spirit. Explaining himself more, he discussed with me how he thought that to pray was to live thankfully and humbly; that God hears us all the time; that we help others hear God and that in prayer we support and, in a spiritual way, become one with each other. I really liked this priest, Fr. Tino. He taught me a phrase, which I did not hear growing up, but which made sense to me, from the first time I heard it. It was “Bahala na;” “Leaving it to God,” so as to find peace of mind. Thinking of the tremendous difficulties my grandparents had to endure to come to Maui, back in 1910, I feel that they must have, indeed said, more than a few times, “Bahala na!” And, coming to a new land, a new island, they must have surely related, spiritually and religiously, to what they were seeing around them. In getting used to a new land, a new way of life, they embedded their spirit and their sense, experience and knowledge of the divine, of God in what surrounded them; the people, who were not all Filipino and in the signs and reality of nature. They took their Filipino traits (the five I described at the beginning of this article) and endured, thrived and succeeded, weaving their own mat, their kalooban, that still is used by me and all my living relatives. Like all indigenous peoples, Filipinos have knowledge about the natural world and environment that surround them and live with. Our kalooban, I believe, binds us, even as one, with everything and everyone with live with. My native Hawaiian side tells me that all of nature is a manifestation of the divine, of God. The understanding of my Filipino side, imbues me with a sense that divine power, God, resides with everything and everyone around me. I suggest that our kalooban, allows, even compels us to see everything and everyone as being a part of the sacredness of God. As such, I know that as we relate to this sacredness, we can relate to the fact that we should celebrate it, especially with each other. Filipinos like to celebrate and I don’t know of any Filipino parties that are not at least a little bit festive. Kababayan, I know that our spirit, as Filipinos, means that we live with and relate to each other as if God is watching and living with us too. We live with and relate to each other to find meaning in what we see, in how we live and work, in how we learn, in how we see the divine and God in just about everything. So, Fr. Tino gave me a rather philosophical way of understanding kalooban. He said that I should find spirit, the Filipino spirit, “…in every image, in every symbol, in every story, metaphor, allegory, in every ritual.” He went on to say, and I have never forgotten this, that every Filipino is “the combination of all of these expressions, as God is with and in us”. To this I add, as we express our kalooban and practice our religion, and weave our own Maui and interwoven mat of Filipino spirit, “Bahala na!” Kababayan, during this holy season of the Church and especially at the Great Festival of Easter, be at peace and find it in each other and in everything. 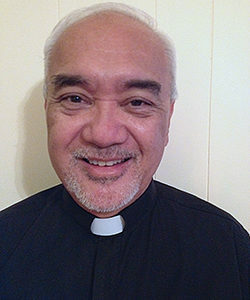 John A. Hau‘oli Tomoso is a Social Worker and Episcopal Priest. He is a Priest Associate at Good Shepherd Episcopal Church in Wailuku and an on-call Chaplain at Maui Memorial Medical Center. Tomoso graduated from St. Anthony Jr./Sr. High School in Wailuku and earned his Bachelor of Arts in Political Science and Sociology from the College of St. Thomas in St. Paul, Minnesota, where he met his wife Susan, who is a 7th grade Language Arts Teacher at Maui Waena Intermediate School. Tomoso received his M.S.W. from the Myron B. Thompson School of Social Work at the University of Hawai‘i at M&#257;noa in 1977. He retired from the civil service in our County Government, as the Maui County Executive on Aging in 2008 and is currently the Executive Director of the non-profit Tri-Isle Resource Conservation and Development Council, Inc. If you have any thoughts, comments or questions, you may email Tomoso at atingkabuhayan@gmail.com.